The communities in South DeKalb are almost entirely African American, and they reflect a housing disparity that emerges across the Atlanta metropolitan area and the nation. According to a new Washington Post analysis, the higher a Zip code’s share of black residents in the Atlanta region, the worse its housing values have fared over the past turbulent housing cycle. Nationwide, home values in predominantly African American neighborhoods have been the least likely to recover, according to the analysis of home data from Black Knight Financial Services. Across the 300 largest U.S. metropolitan areas, homes in 4 out of 10 Zip codes where blacks are the largest population group are worth less than they were in 2004. That’s twice the rate for mostly white Zip codes across the country. Across metropolitan Atlanta, nearly 9 in 10 largely black Zip codes still have home values below that point 12 years ago. 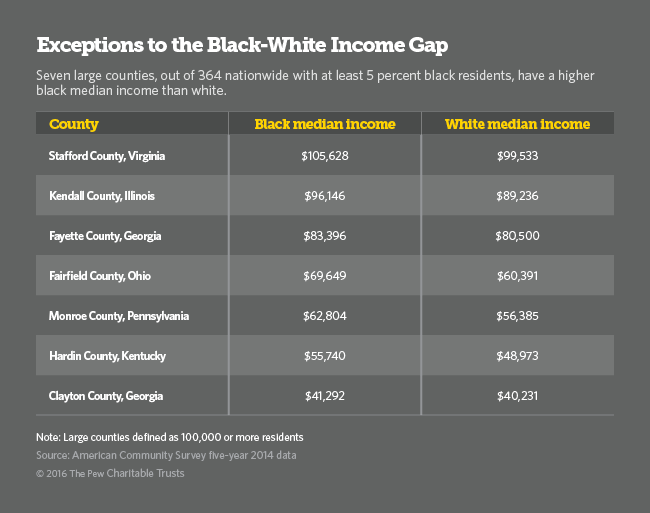 These disparities, though, are not simply about income, about higher poverty levels among blacks, or lower-quality homes where they live, according to economists who have studied the region. The disparities exist in places, like neighborhoods in South DeKalb County, where black families make six-figure incomes. Race strikes again in America. While the issues may not be the same as past actions such as official redlining or blockbusting or restrictive covenants, even in wealthier communities – ones like these that tend to look like the white suburban dream of a big house in a nice community – race continues to affect home and property. This also reminds me of the book Crisis Cities which I had my urban sociology class read for the first time this past sentence. The one sentence summary: government and private sector actions after major urban crises like 9/11 and Hurricane Katrina tend to privilege the already wealthy and do little to help the poorer residents of major cities. Similarly, poorer and minority residents were hurt disproportionately by the economic crisis (through means like subprime loans – another quote from the article: “Nationwide, black families earning around $230,000 a year, according to research by sociologist Jacob Fa­ber, were more likely at the height of the bubble in 2006 to be given a subprime loan than white families making about $32,000”) and then don’t share as much in the recovery. We need urban and housing policies that at least help everyone, if not provide more for those who need more help. For South Side residents, the writing has been on the wall. Starting as a slow trickle into the suburbs as industrial jobs began drying up in the 1970s, black flight increased in the 2000s, with blacks seeking the suburbs like never before — as well as places like Georgia, Florida or Texas, according to U.S. Census data. Every senseless death, every random shooting and every bullet-riddled weekend means another family, another frightened parent must make the decision to stay or go. Those of us left behind must deal with the aftershocks: lessening political clout, limited public services and the creep of poverty and crime into neighborhoods like South Shore and Auburn-Gresham. Even as some trumpet the demographic inversion of metropolitan areas other research suggests poor neighborhoods, particularly in Rust Belt cities, can often slowly lose residents. On one side, there is a lot of attention paid to whiter and wealthier residents moving into urban cores and hip neighborhoods while on the other side, little attention is granted to disadvantaged neighborhoods. In some of these neighborhoods, it is remarkable just how much open space there can be as buildings decay and few people clamor to move in (think of Detroit and its urban prairies as an example). Despite being better qualified financially, black and Latino testers were shown fewer homes than their white peers, were often denied information about special incentives that would have made the purchase easier, and were required to produce loan pre-approval letters and other documents when whites were not. This history of discrimination has taken an enormous toll on black wealth, as is shown in research by Douglas Massey and Jonathan Tannen at Princeton University’s Office of Population Research. In 1970, two years after the passage of the Fair Housing Act, for example, the average well-off black American lived in a neighborhood where potential home wealth, as measured by property values, stood at about only $50,000 — as opposed to $105,000 for affluent whites and $56,000 for poor whites. From de jure to de facto segregation. The resources of the past went to white suburbia and the deck is still often stacked against black and Latino urban residents. And the wealth differences are large and this has consequences for subsequent generations.